Don’t believe everything you read about homeschooling. This recent article, Home-schooled Students May Not Be Getting Best Education in the Vancouver Sun, is full of egregious errors. I will attempt to set at least some of it straight (without writing a book). BC does not have “among the laxest home-schooling rules in North America.” If the writer did her homework, she would see that, in almost every province across Canada (and much of the U.S.), parents homeschool their children without being supervised or evaluated by certified teachers and with no “government certificate” upon graduation. If she checked out the homeschool research, she would see that not only do homeschooled kids perform better than public schooled kids regardless, they are also sought out by colleges even with their homemade diplomas. Indeed, in most provinces “there is no requirement that home-schoolers follow the provincial curriculum, use any specific textbooks or teach any particular subjects and concepts.” Yes, she is right that BC dictates that “Parents seeking to home-school their children … exercise complete independence and control over their children’s education,” as do most jurisdictions across North America. And this is as it should be – education is a parent’s responsibility after all and parent involvement in a child’s education is the primary indicator of success. She states “Those kids are not eligible to get a high-school diploma.” This is incorrect as homeschooled kids (in the traditional option in BC) don’t get a public school diploma, but they do earn a homeschool diploma, which as I said is good enough for most institutions of higher learning. True, admission to university is often “done on an individual basis” but many universities across Canada have homeschool policies and actively seek out homeschoolers. 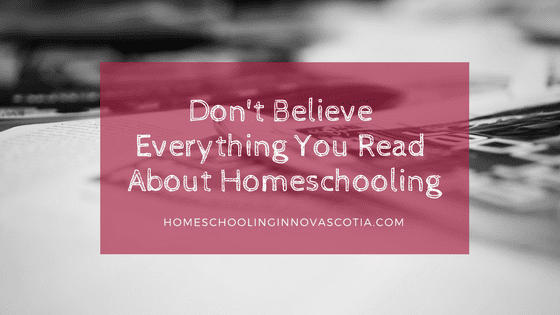 If you’ve been to the homeschool conference here in Nova Scotia, you’ve seen colleges and universities present to recruit homeschoolers every year. After criticizing conservative homeschoolers, the writer ends her piece with these inflammatory sentences. But the Supreme Court also affirmed that governments have the right to ensure that home-schooling parents provide sufficient instruction. British Columbia isn’t doing that. And, by not exercising its right, the government has for years failed in its duty to children, who all have the right to reach their full potential. She is assuming here, incorrectly, that homeschoolers are guilty of not properly educating their children. Without proof. In fact, as I have already mentioned, studies show quite the opposite. Assuming all parents are neglecting their duties on the educational front is the same as assuming all parents are abusing their children. It would be just as ridiculous to suggest every family needs regular state visits to ensure they are not abusing their kids as to suggest homeschoolers need regular educational checkups. Always look to the research on homeschooling! Parents are their children’s first and best teachers, hands down. Have you read anything recently that made you realize you can’t believe everything you read about homeschooling? Please let me know in the comments below! Thinking of homeschooling or want to get started? 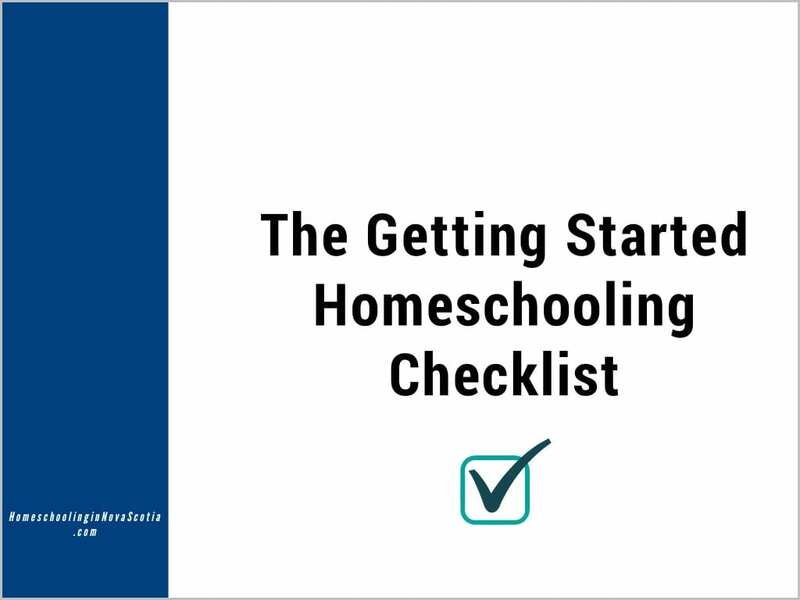 Get more information and check out the free Getting Started Checklist here. I am so glad I stopped by, thanks for helping me understand more about BC’s standards. I was under the impression they needed to be under some sort of charter insight, is that correct? Hi Annette! In BC, homeschoolers may choose the Traditional route or the Distributed Learning (DL) route. Traditional means they are independent homeschoolers, with no constant evaluation or supervision by certified teachers (much like every other province in Canada). In a nutshell, DL means they are either public schooling or private schooling at home. Yikes! What about all those public schooled kids who aren’t meeting their potentials due to the flaws in the public system? Someone needs to submit a counter article to the Vancouver Sun titled: “Public School Children May Not Be Getting Best Education” LOL! LOL! Exactly. How many homeschool dropouts do you know? UGH! Where on earth did she get her facts? And I guess the Vancouver Sun doesn’t bother fact-checking anymore either??? As a BC homeschooler, this makes me mad! Here in BC, we have the option to “register” with a school board (in which case we have no supervision as homeschoolers, no accountability) or to “enroll” (in which case we get a teacher offering support but also demanding proof of work, etc). In the last month, I’ve spent several hours photocopying lesson plans for our teacher to outline what we are doing for the school year, and photocopying some of the work that the girls have done so far in the year to show that we’ve started school. My oldest is in Grade 4 this year and gets to write the standardized test with all the other students in the province (she just got her info package from our school board today). How is all that “lax”? I could also add that I’m a homeschool graduate (from Alberta) with no high school diploma (I’ve never missed it) and two university degrees (my first with highest honours). And when I was a homeschool student, we were also accountable to a teacher who stopped by our house twice a year to check up on the work we were doing, and helped us write the provincial and high school exams, and made sure that we were following the provincial curriculum. Even without supervision of an “accredited teacher” homeschooling isn’t lax. She’s ignoring the research.